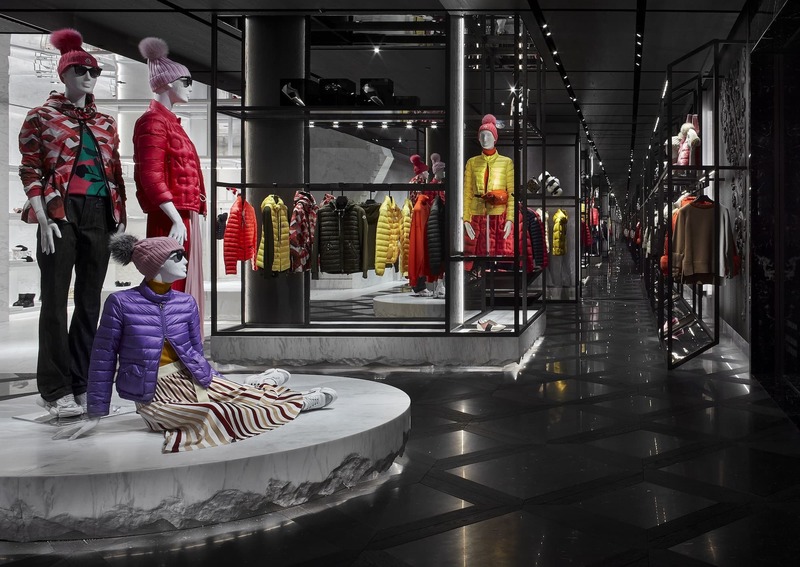 Moncler’s down jackets never fail to beckon a second look, so it comes as no surprise that the French outerwear purveyor has decided to give its new flagship store in Singapore’s iconic Marina Bay Sands the same presence. 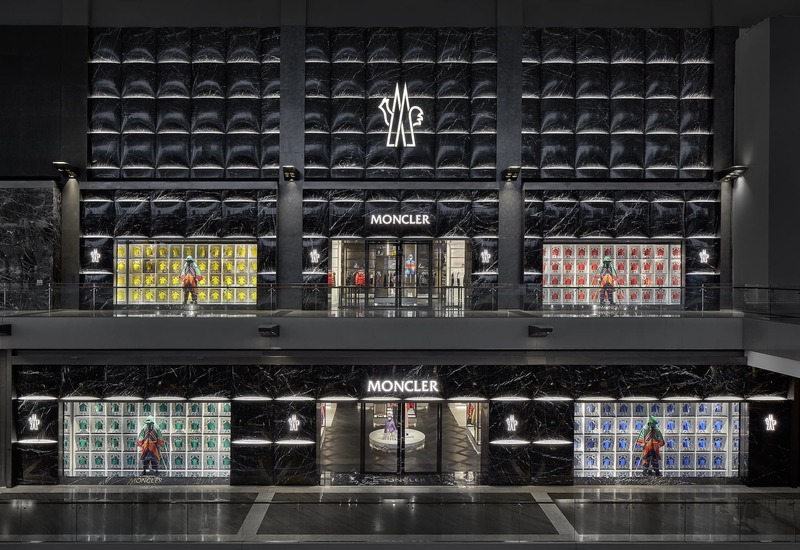 Moncler’s new flagship duplex at Marina Bay Sands. Situated boldly and quite strategically on the luxury shopping floors, the duplex is hard to miss. In paying homage to the product that propelled its name to high fashion fame, its exteriors mimic the curves and folds of its classic down puffer jacket, carved entirely out of black marble. Suitably, the cold hard exteriors are complemented by the grey colour palette within, alternated with white stones to evoke a chilly ice effect. Still, Gwenael Nicolas managed to chip off some of the dark edge to create an inviting space with the extensive use of dark wood — a subtle expression of nature’s strength and elegance. 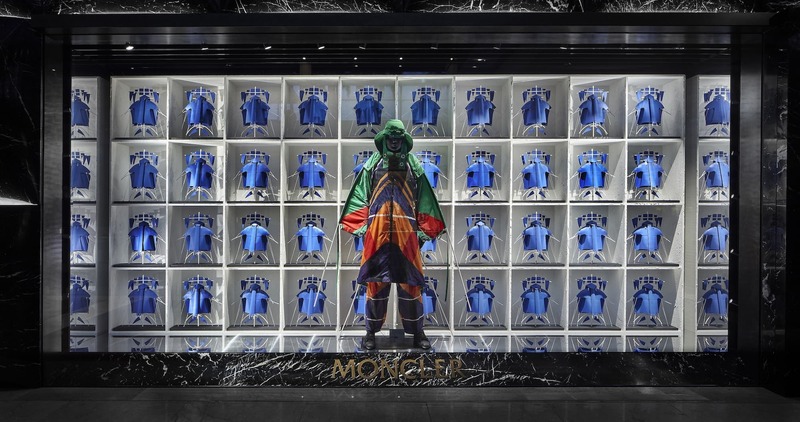 The French designer and founder of Curiosity design studio is also responsible for bringing Moncler’s vision to life in Dubai Mall. Expect special collections too, such as the Moncler Genius collection. 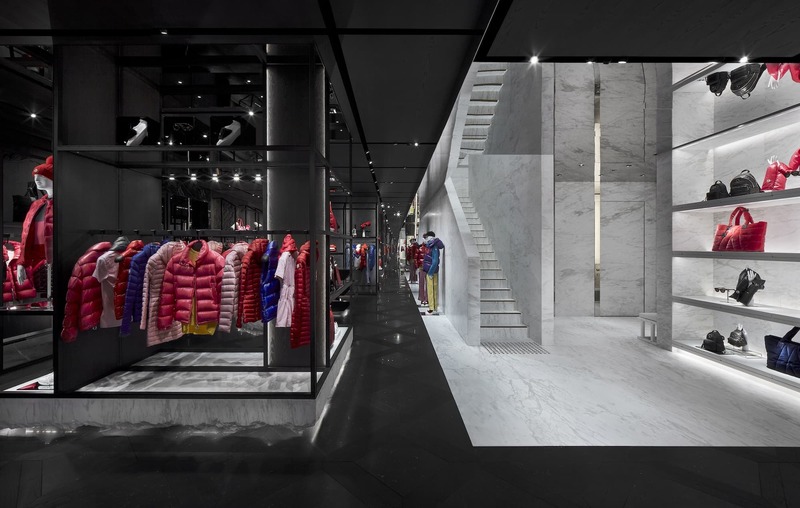 Remarkable interiors aside, the new Moncler flagship store at Marina Bay Sands will also house the Moncler Genius Spring/Summer 2019 collection. This year, the offbeat range is steered five established designers who’ve each interpreted the brand’s identity in their own unique way. If not the store’s commanding facade, the current kite-inspired sculptural coats by Craig Green in its display windows will surely stop you dead in your tracks.